king for a new lifestyle? Want to escape from stresses and pressures of everyday life? Then have the ideal location for you. A place can call home, where you can spend time xing with your family and friends, where the ies and routine of everyday life can be left behind. A luxury lodge has all the comfort style of your home, but is set in a stunning ation, surrounded by the English countryside s best. ether you are looking for a home you can 365 days of the year or just a retreat where can spend quality time with your family and ds, we have a variety of luxury lodges to suit udgets, ranging from as little as £65,000. Welcome to Your February Issue. If you conducted a poll to discover which month was the most popular, I’m sure February would be right down at the bottom of the list. Christmas and New Year celebrations have gone and are largely forgotten, and spring seems a distant prospect. Living in the Fens one gets used to the big skies, which is fantastic during the warm summer months, but can often be rather depressing at this time of year as they are invariably dark and gloomy. But don't worry; the daylight hours are extending daily, little by little, and it will soon be time to get outside and shake off the winter blues. Thank goodness 2019 is not a leap year and February has only 28 days…! 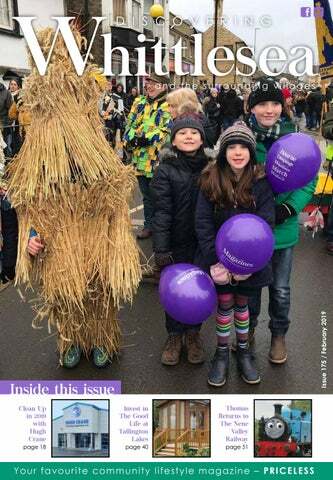 Copy deadline for the March issue is Wednesday 6th February 2019. Brian Smithyman, David Bailey, Eamonn Dorling, Eileen Le Voi, Fraser Dawbarns, March Podiatry, Steve Barclay MP, Whittlesey Osteopaths, Holly Jean, Revd Nigel, Whittlesey Vets, Chris Urlwin and AA Whittlesey Computers. ear Readers, this will be our last correspondence with you as we will no longer be writing articles for the magazine. Unfortunately, the arrival of our baby girl has meant that the time necessary to research and write articles of a high standard has become harder and harder to find. and/or overuse, massage can break them down quickly and effectively. It can help prevent niggling injuries that get in the way of performance and achievement, whether you are an athlete or a once-a-week jogger. This treatment is not just for the sportsperson: anyone can benefit from sports massage, including people in physically demanding jobs, and those not quite so obvious causes, such as occupational, emotional, and postural stress, which may produce many similar characteristics to sports injuries. Pregnancy massage is available after the first trimester; it can help to reduce anxiety, back and leg pain, improve sleep, and decrease the levels of the stress hormones. Regular massage sessions throughout pregnancy are a great way to relieve these problematic physical symptoms of pregnancy. It works to support your vitality and overall health. Call us now on 01354 651200 for more information, and like our Facebook page for full details and special offers. FULL TIME HAIRDRESSING STYLIST POSITION AVAILABLE At least two years of fully qualified experience required, plus excellent customer service skills. If you meet these essential requirements and wish to seize this great opportunity, please send your CV to Greg Boon at 20 Syers Lane, Whittlesey PE7 1AT. Interview will be followed by a trade test. Can be delivered to your home or office if pre-ordering. We can support and help if you need to follow any diet. Nutrition and weight management advice. These new invisible hearing aids are as light as a feather and pack power far above their size and weight. They are so comfortable we guarantee you will forget you are wearing them. AWARDED Independent hearing specialists like SOUND ADVICE HEARING 5 GOLD STARS for choice, pricing & service. TO ADVERTISE YOUR BUSINESS HERE Situated in Whittlesey, Peterborough, we are an independent opticians with over 30 years of experience, offering a large range of spectacles and sunglasses from standard to designer. Our aim is to provide the highest level of professional ophthalmic services, using the latest techniques and equipment in a friendly, caring environment. local author brings a historic lake to a new generation. 1A-1B Mancetter Square, Lincoln Road, Werrington, Peterborough PE4 6BX (Sat Nav Directions - PE4 6BX house no: 1144) FREE CUSTOMER PARKING D I S C O V E R I N G Whittlesea FE B RUA RY 2019 Mon-Sat 10am to 5pm. Sun 11am to 4pm. ugh Crane is the one-stop-shop for cleaning equipment - and has been since 1983. Family run, we’re the largest company of our kind in East Anglia - and with our high-quality, great-value range, it’s no wonder . We stock more than 17,000 immediately available items from all the top brands – so we’re sure to have the right solution for you and with our new refurbished showroom in Station Road we feel that we have everything you need for your home, garden or business. We are stockists of well-known brands including Karcher, Nilfisk and Numatic to name but a few and have the largest selection of pressure washers, vacuum cleaners, chemicals and janitorial supplies in the area. From high end steam cleaners to toilet rolls we can supply you with the complete range. However, we won’t sell you a box, we sell you a solution… and our experienced team will advise you on the right product to meet your needs and your wallet. Home or business, big or small, weâ&#x20AC;&#x2122;ve got all your cleaning needs covered at our Whittlesey Showroom! february Gardening Tips As I write this, we have yet to have the usual frosts and snow that winter brings, but we do have the promise of a cold snap and possibly some snow. With this in mind, February may prove to be a pretty cold month but, who knows? More than any other month you need to watch the local conditions and act accordingly. Don’t always do what the seed packet says - make a judgement depending on the ground conditions; you don’t want all your seeds to rot! It is possible to sow crops such as broad beans along with early peas (under cloches), parsnips and garlic, but only do so if the ground is not frozen or waterlogged. A good idea for sowing peas is to use lengths of plastic guttering: half ﬁll them with good quality seed compost and sow the seeds about 2inches apart, cover with compost, water and keep in a light spot under cover. Once the seedlings have grown to about 3 inches, make a shallow drill and slide the contents of the guttering into the drill. Make sure they are ﬁrmly bedded and water. Other crops that can be sown outdoors (watch the weather and make a judgement), are turnips, rhubarb crowns and grape vines. February is the best month to plant out garlic and shallots. Prepare the ground as you would a seed bed and plant using a trowel; don’t push the bulbs into the soil. The garlic cloves should be planted about 2ins/5cms deep and, with the shallot bulbs, leave the tips just at the soil surface. Check that the birds have not pulled the bulbs out and replant the disturbed bulbs as soon as possible. Make sure that you have got all of your seed potatoes by the end of the month and that they are spread out in a seed tray, or in egg boxes, in a light cool room where they can “chit” (sprout shoots), before being planted out. If the “chits” look pale and spindly, the room is probably too warm or too dark. The soil can be prepared for the spring planting by completing the winter digging, if not already done, removing any weeds that have survived the winter months. To warm up the soil for planting next month, cover it with ﬂeece or polythene and, if you haven’t already, add well-rotted manure or compost to the prepared soil. Other jobs that can be carried out are:• Removing dead leaves from cabbages and sprouts –if they start to rot they can spread mould and mildew. • Make sure winter cabbages, cauliﬂowers and broccoli are netted against hungry pigeons, whose food supply is a little short at this time of year. • Spray fruit trees, whilst they are still dormant, with a plant-oil based winter wash to help prevent aphids and scale insects. • Feed and mulch fruit trees and bushes. Happy gardening! Peterborough Heating Solutions Limited Here when it matters for all your plumbing needs! ALL OUR FITTED WORCESTER BOILERS COME WITH A 10 YEAR PARTS & LABOUR GUARANTEE! Does Your Lawn Need Help? s your lawn a lovely green piece of perfection or is it still suffering from the effects of last year’s heatwave with lots of weed and unsightly dead patches in it? ■	Aerate your lawn – using a fork, spiker or aerator, now is the perfect time to sort compacted ground and improve drainage. It's energetic work so if you don’t want to do it yourself call GreenThumb! ■	Sort those weeds – as predicted, after the long drought of 2018, a flush of weed appeared in many lawns. Get a plan in place to tackle these in the spring when the weather conditions are right. We’re the people to help! ■	Keep mowing – on a fine day give it a cut on a high setting. Long and wet lawns will always encourage moss. ■	Let in the light – cut back over-hanging bushes that deprive the grass of essential sunlight and good air flow. Pick up rotting leaves and brush off worm casts. Sarah and Jo offer a FREE visit where they carry out a full analysis of your lawn and give advice. “We’re ready to tackle weeds, moss, dead patches and complete lawn renovations to get lawns looking great for 2019,” says Sarah. Treatments are based on lawn size and start from as little as £15 four times a year. ■	Rake or scarify out dead grass – unsightly dead To book your FREE lawn analysis now contact brown patches won’t miraculously turn green so Sarah or Jo on 01733 755028 or email while the lawn is dormant rake out as much peterborough@greenthumb.co.uk dead matter as you can ready for seeding in www.greenthumb.co.uk 1 14/01/2015 10:03 spring.ZHV-314-71188-Peterborough-Advert-190x133-Non-DD-Spring-13jan14-PRINT.pdf We can help! Tel: 0845 450 7872 Email: enquiries@larkfleethomes.co.uk *Terms and conditions apply. Are you looking for a wooden building for your garden? Introducing … Your local Zero Dry Time Carpet Cleaner “My name is Alan Clarke and I am a carpet cleaner, “My name is Alan Clarke and I am a carpet cleaner, based in Peterborough. I focus on delivering you a based in Peterborough. I focus on delivering you a quality service, second to none, for both domestic quality service, second to none, for both domestic and commercial properties. and commercial properties. Say ‘No’ to soggy carpets and wet dog smells! Say ‘No’ to soggy carpets and wet dog smells! I will “Stain Guard” your carpets FOR FREE, and you will notice I will “Stain Guard” your carpets FOR FREE, and you will notice them easier to vac, spots and spills will wipe off easily, and them easier to vac, spots and spills will wipe off easily, and they will stay clean for longer. they will stay clean for longer. Sanitising and deodorising will remove up to 99% of bacteria Sanitising and deodorising will remove up to 99% of bacteria and germs in all carpets and upholstery”. and germs in all carpets and upholstery”. • Carpets dry cleaned - ready for immediate use. • Carpets dry cleaned - ready for immediate use. • No soggy carpets or wet dog smell - safe for both • No soggy carpets or wet dog smell - safe for both children and pets. children and pets. • Removes spills and spots, removes smells and sanitises, • Removes spills and spots, removes smells and sanitises, deep cleans and lifts carpet pile. deep cleans and lifts carpet pile. • No need to remove furniture, or leave heating on with • No need to remove furniture, or leave heating on with windows open until your carpets are dry. windows open until your carpets are dry. Services provided: Services provided: • Dry cleaning of carpets. • Dry cleaning of carpets. • Dry cleaning of upholstery. • Dry cleaning of upholstery. • Leather cleaning. • Leather cleaning. • Restoring of wooden floors. • Restoring of wooden floors. • Carpet maintenance programmes. • Carpet maintenance programmes. Commercial cleaning? - no problem, just ask for a free Commercial cleaning? - no problem, just ask for a free demonstration, advice and a quote. demonstration, advice and a quote. Telephone 0800 1804157. Telephone 0800 1804157. “No “No soggy soggy carpets carpets or or wet wet dog dog smell”. smell”. A new crackdown on scammers has been launched across Cambridgeshire and Peterborough with the aim of making the county scam-free. The Cambridgeshire and Peterborough Against Scams Partnership (CAPASP) includes Cambridgeshire Constabulary, Police and Crime Commissioner Jason Ablewhite, Cambridgeshire County Council and Peterborough City Council. Eileen Le Voi, Director of Safe Local Trades – which has been championing the consumer for over a decade – said: “As a member of the partnership, I am committed, on behalf of Safe Local Trades and Services, to this far-reaching charter. It is vital that we all work together towards one common, and very important, goal of raising awareness about scams and ending the financial and 09:28 mental suffering caused to individuals on a daily basis.” Statistics show that • 53% of people aged 65+ have been targeted by scams and criminals (Action Fraud). • Scams cost the UK between £5-10 billion each year (Annual Fraud Indicator). • Anyone can be a scam victim, regardless of age, gender, education or economic background. For a non-emergency response, (if you have been a victim of a fraud/scam), call Cambridgeshire Police on 101. If you have been affected by crime, get emotional and practical help from Cambridgeshire Victim and Witness Hub on 0800 781 6818. • Scams are the product of organised, predatory criminals who gain trust to exploit and steal money. For support and advice on scams (e.g. rogue traders, romance scams, scam mail, telephone calls, text messages, e-mails), call Citizens Advice Consumer Service on 03454 04 05 06. • Scam victims might not always admit (or be aware) that they are a victim of a scam. Only 5% of victims report the crime (Age UK 2015). Great Price Reductions at Rosewood Close Whittlesey! Help to Buy* available on this development: Buy any property with a 5% deposit. or the family dynamic in terms of one being the breadwinner, and the other raising the children. The only possible claim that could arise between unmarried couples would be in relation to property rights. If the property is jointly owned, both parties will either own the whole of the property or own a distinct share. If, however, the property is owned in only one of the partner’s names, the other would need to establish a ‘trust’ right, by showing that they had either directly contributed to the purchase of the property or to home improvements, and that there had always been express agreement about sharing the property. Should the partners take the dispute to court, the judge would look at all of the evidence, to try and determine what their intentions had been. Such cases can be complicated and expensive. This is where a Cohabitation Agreement can be useful. The agreement is like a ‘prenup’ for unmarried couples, recording their wishes, and providing a framework to sort out issues such as the payment of bills and the mortgage, and responsibility for debits, in the event of the relationship breaking down. The agreement could also include clauses to preserve or ‘ring-fence’ solely-owned assets. At the current time, it is not possible to guarantee that the agreement will be completely legally binding and upheld in its entirety by a court, but they are becoming more common, and can be bolstered if the partners have received independent legal advice and exchanged details of their bank statements, pay etc. Whilst proposing a Cohabitation Agreement may seem unromantic, unmarried couples should try to protect themselves, in the absence of any protection in the law. ENJOY TWELFTH NIGHT AT PETERBOROUGH CATHEDRAL One of Shakespeare’s best loved comedies, ‘Twelfth Night’, is to be staged at Peterborough Cathedral from February 13th to 15th by Gearbox Theatre Company. This talented new theatre company is combining the cathedral’s stunning Norman architecture, a sixties skiffle band and Shakespeare’s poetic language, to bring this colourful production to life. Artistic director Emma Sheppard said: “There is love and marriage, laughter, mischief and crossdressing. With a sixties skiffle band and an original, if somewhat nostalgic, soundtrack, this is a show not to be missed.” Tickets, from £11-£25, are now on sale via www. peterborough-cathedral.org.uk/twelfthnight or call Peterborough Information Centre on 01733 452336. As well as the three evening performances, there are matinees on Thursday, February 14th and Friday, February 15th, and these are open both to the general public and to schools. CHRISTMAS TREE FESTIVAL SUCCESS The recent annual Christmas tree festival at St Mary’s Church, Whittlesey has been hailed a resounding success. The cathedral is offering a ‘Valentine’s Day Special’ ticket on February 14th. This combines a luxury afternoon tea for two, a pair of top-price tickets for the evening performance and interval drinks, plus the option to renew your vows at Evensong before the show and meet the cast during the interval. It's the perfect way to treat a loved one! COUNCILLOR SURGERIES WILL BE HELD IN GROSVENOR HOUSE FROM 9.30AM TO 10.30AM ON THE FIRST SATURDAY OF EVERY MONTH THROUGHOUT 2019. 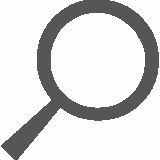 Councillors present on Saturday February 2nd will be: Councillor Dee Laws (County, District and Town Councillor) Councillor Eamonn Dorling (Town Councillor) If you have any matters of concern and wish to discuss them with a Councillor, then please come along and let us know. TOBOGGANING AT TALLINGTON! As a fabulous finish to their topic entitled ‘Frozen Kingdom’ Year Six pupils from Park Lane School were privileged to take part in a morning’s tobogganing session at Tallington Lakes. The topic had encompassed aspects of geography and history; learning about the Antarctic and the Arctic Circle. The trip to Tallington Lakes was a chance to experience some extreme weather conditions as well and set some personal physical challenges to everyone involved. Sue Bradshaw, Year Six teacher, said: "All pupils challenged themselves to push themselves to their limits and conquer their fears. “Everyone had improved their skills and by the end of the morning they were all sprinting to the top of the dry ski slope. The races down the slope were fast and furious!" that survive you – it is a good idea to ensure they understand what your objectives are and why. There may be lower cost alternatives such as loans, sale of other assets or downsizing. •	Only deal with a fully qualified Independent Financial Adviser that has the appropriate qualifications. (CF6 is the qualification to provide mortgage advice, and ER1 Is for advising specifically on Equity Release products.) •	Only select a provider and product that satisfies all the standards set out by the Equity Release Council; https://www. equityreleasecouncil.com/home/ Don’t rush any decisions, there may be other expenses to consider such as conveyancing as well as maintaining home insurance. Remember that although a loan secured against a property has risks and costs, there is no guarantee that property prices will increase and that a lump sum benefit could reduce eligibility for some benefits. Setting up an ER plan might restrict future options in respect of moving home because not all properties are suitable and the remaining value (equity) might not be enough to purchase a desired property. 90% of lifetime mortgage customers release equity within £10,000-£100,000 or more. The amount released will depend on your age and value of your property. You continue to own your house with a lifetime mortgage which is a debt secured against it. The value of equity released, plus accrued interest, to be repaid upon death or moving into permanent long-term care. All outstanding lending secured on your property must be repaid. Looking for a new lifestyle? Want to escape from the stresses and pressures of everyday life? Then we have the ideal location for you. A place you can call home, where you can spend time relaxing with your family and friends, where the worries and routine of everyday life can be left far behind. A luxury lodge has all the comfort and style of your home, but is set in a stunning location, surrounded by the English countryside at its best. Whether you are looking for a home you can use 365 days of the year or just a retreat where you can spend quality time with your family and friends, we have a variety of luxury lodges to suit all budgets, ranging from as little as £65,000. Our beautiful park is set just a few miles from the pretty town of Stamford. Tallington Lakes offers a mixture of lakeside tranquillity and an array of sports all year round. In the summertime, we have an open-air swimming pool. On the lakes you can windsurf, jet-ski, water-ski, kayak, or how about trying ‘stand-up paddle boarding’ (SUP). During the winter months, we have a dry ski slope, tobogganing and a climbing wall. On site there is a bar and restaurant which is open every day, offering meals and a variety of entertainment all-year-round. Making new friends at Tallington is easy because there is always so much going on. Get involved in fitness classes, bingo, trips and weekend discos and parties. New for 2019 is our sister-site. If you are looking for a home that’s quiet, set in pretty Cambridgeshire surroundings, then maybe Thorney Lakes near Peterborough is for you. Lodges are available from early 2019. Please visit our website for further details www.goodlifelodge.co.uk To begin your new lifestyle today, call our friendly sales team on 01778 381144. They will be more than happy to give you more information about our luxury lodges for sale, and can arrange priority viewings and tours of our stunning show homes. We look forward to meeting you soon. ...a great return on investment. LOOKING FOR A NEW LIFESTYLE? Want to escapes from the stress and pressure of everyday life? Then we have the ideal location for you. a place you can call home, where spending time relaxing with your family and friends, where the worries and routine of everyday life can be left far behind. a luxury lodge has all the comfort and style of your home but is set in a stunning location, surrounded by the English countryside at its best. Dog Show, Fun Run, Competitions, Climbing Wall Taster Sessions, Refreshments, Craft Stalls, Games, Music and much more! ALSOSTORES STORESIN: IN BOURNE, BOURNE, ALSO STAMFORD & SPALDING! PETERBOROUGH & SPALDING! LOCAL FIRM HELPS FOOTBALL TEAM A Whittlesey Juniors FC U12 team is celebrating following the generosity of a local company in providing it with new football kits and rain jackets. PDR Property Lawyers, which is based in Whittlesey, is a long-time supporter of the team and has sponsored it since it began playing football in 2011. Team manager Jon Rowe said: “The team and coaches are extremely grateful to Michelle Rickard and PDR Property Lawyers in continuing their sponsorship of the boys. to our Christmas Novelty Hunt Winner! Joshua Brading (aged 8) from Stanground Well done Joshua – enjoy your prize! Floor & wall tiling, ceilings plastered & painted, electrics. February 2019 7th Voodoo Acoustic Sessions with Dave B, at Mama Liz's, Stamford. From 8pm. 9th The Ivy Leaf Club presents a Burns Supper with the Peterborough Highland Pipe Band, plus a sausage or haggis supper! And don't miss out on 40s and 50s’ swing artiste Steve Howell. Doors open at 7pm and tickets are just £8, this includes your dinner. 1st Mixology presents Archie Hamilton at the Red Room, Peterborough. From 10pm-5am (last entry is 2am). Minimum age 18. 2nd March United Services Club presents Michael Jackson tribute artist Jay Styles! From 8pm. Members £5, nonmembers £8. Advanced tickets are available or pay on the door. There will also be a disco! For more information please call 01354 657271 or email uscmarch@yahoo.com 2nd Alice in Wonderland Shadow Box Workshop at Whittlesey Library from 10.30am-12.30pm. Tickets are £3 per child. All children must be accompanied by an adult. 2nd Thomas the Tank Engine Storytime at March Library from 2.15pm-3.30pm. Calling all Thomas fans! Come along to March Library for a special Thomas the Tank Engine Storytime. Listen to some Thomas stories and make your very own Thomas costume from card and craft materials to take home. Tickets are priced at £3 and include refreshments and entry into a prize draw to win Thomas books. Places are limited and must be booked in advance. The event is open to children aged 18 months and over. 9th & 16th Falling in love with reading at March Library from 10am-11.30am. Do you and your children like to read together at home? Would you like to read more and would welcome some hints and tips? Are your children bored with books and you want to make reading more exciting? You and your children have the opportunity to listen to stories, enjoy some colouring, and earn stickers and certificates, whilst learning in a fun and friendly environment. This is a free two-week course, aimed at children aged 3-7 years. Younger siblings are welcome. Advance booking is essential. 11th Love Your Home event at Whittlesey Library, PE7 1BA from 10am-1pm. This event includes fun DIY and craft activities, free refreshments and lunch, CCORRN Pop Up Paint Shop, CCORRN Pop Up Scrapstore and so much more. For more information please call 01354 607667 or email admin@ccorrn.org.uk 11th Songwriters' Evening with Steve Gibbs at The Boat Inn, Whittlesey, from 8pm. 13th-15th One of Shakespeare’s best-loved comedies, Twelfth Night, is to be staged at Peterborough Cathedral by Gearbox Theatre Company, combining the Cathedral’s stunning Norman architecture, a sixties skiffle band and Shakespeare’s poetic language, to bring this colourful production to life. Tickets £11-£25 – visit www.peterborough-cathedral.org.uk/twelfthnight or call Peterborough Information Centre on 01733 452336. As well as the three evening performances, there are matinees on Thursday, February 14th and Friday, February 15th. On the 14th there is a Valentine’s Day Special. This combines a luxury afternoon tea for two, a pair of top price tickets for the evening performance and interval drinks, plus the option to renew your vows at Evensong before the show and meet the cast during the interval. It's the perfect way to treat a loved one! 13th Literary Festival: Sophie Hannah, at Park Crescent Campus, Peterborough, from 7pm-8pm. For book lovers everywhere, come and join us for an evening with crime novelist Sophie Hannah. This event is free and open to everyone. 16th &17th Join Thomas as he returns to steam at Wansford. Travel behind Thomas on his branch line to Yarwell and back – the train then continues to Peterborough hauled by a bigger locomotive. See Thomas running around the yard with some naughty trucks at Wansford. Café and buffet cars available. Visit www.nvr.org.uk for more details and to book tickets. 17th Games From the Past at Whittlesey Museum from 10am-2pm. 17th The Glasshouse Session, at The Key Theatre, with host Paul Biggins from 2pm. 18th-22nd Dream Builders at Queensgate Shopping Centre. You're invited to join the Dream Builders for a free block building adventure. 10am-4pm each day. 19th The Boat Inn Open Mic, Whittlesey, from 8.45pm, with The Boatmen. No under 17s allowed. 13th Professor Brian Cox live at The East of England Arena, Peterborough from 8pm. Visit www.ticketmaster.co.uk to see ticket prices. 13th Backroom Acoustic Evening at The Angel Inn, Ramsey. With The Boatmen from 8pm. 16th Half Term Holiday Trail at Ferry Meadows, 10am- 3.30pm. £1. 16th We're Going on an Adventure, story making workshop at March Library from 2pm. £2.50 per person. Fun for the whole family as you work together to make up your own adventure story. Professional artists from 20Twenty Productions will inspire you through the use of costumes, props and games. Leave the workshop feeling more confident in making-up stories together and letting your imagination run wild! Refreshments available. Suitable for families with children under 10 years old. Tickets available from the library or online at www. cambridgeshire.gov.uk/arts. Another season of The Library Presents is around the corner with a new jam-packed programme of arts performances and workshops taking place in 22 libraries across the county, including March. ‘The Library Presents’ is funded by Arts Council England and created in partnership with Babylon ARTS. February 2019 the fun and explore the magic of the dark in a delightfully safe place. The story tent is one of the smallest theatres in the world! With only 15 people at any one time (including adults), young children will have the chance to join in with the story, to talk and to play. You will never have heard stories told like this before – storyteller Marion Leeper creates a charmingly unforgettable family experience. Each show lasts for 30 minutes, with time to explore the tent and its treasures afterwards. See our Facebook page Discovering Whittlesea Magazine for more events and offers. Play Scrabble at Palmer Close on the second Wednesday of each month, 1.45pm. THURSDAYS Tai Chi sessions held at Eastrea Village Hall, 7.30pm-9pm. Beginners most welcome. Part of the Eastern Counties Tai Chi Academy. Contact Jan on 07842 090506 or just turn up. All adults welcome. 23rd Feb-Apr 7th Peckover House Tours from Monday - Thursday at 11.45am, 1.15pm and 2.45pm. For more information, and to book, please visit www.nationaltrust. org.uk/peckover 23rd Quiz Night in The Pavilion, Benwick Road, from 7pm. Bangers and mash dinner, team of six or less, cash prize and bring your own drink! Tickets are £7.50 per person. 26th Blue Boar Open Mic with Graham Cleaver, at The Blue Boar, Eye, from 8pm. 27th Backroom Acoustic at The Angel Inn, Ramsey, with The Boatmen from 8pm. Regular Local Events MONDAYS Quiz Night at the Nag’s Head, Eastrea, 8.30pm. £1 to play and max. five per team. Cash and raffle prizes to be won! TUESDAYS Love to sing? Join Singchronicity, an all-ladies chorus for their weekly meeting at Orton Wistow Community Centre, Orton Wistow, Peterborough, PE2 6XN, every Tuesday 7.30pm-10pm. Contact Tina Overton on 07434 582838 or Deana Foot on 07732 123359, for more information. WEDNESDAYS Bingo at Palmer Close, 6.30pm. Call Julie on 03701 924126 for more details. March Can't Sing Choir. Every Wednesday evening at Trinity Hall, March. From 6.30pm-8.30pm. Entrance fee is only £3.50 on the door. All abilities welcome. For more information, please contact Val on 07952 639495. Whittlesey Concert Band rehearse from 7.45pm-9.15pm at the Methodist/United Reformed Church, Whittlesey. We welcome wind, brass and percussion players of all ages (around Grade 4 standard and above) who would like to join a friendly and dedicated group of wind musicians. Weekly rehearsals are treated as a time for relaxation and socialising as well as focused work in order to achieve a good standard of performance. Visit whittleseyconcertband.com for further information or contact whittleseycb@gmail.com FRIDAYS Gentle keep-fit class at Coates Public Hall. 10-11am. £3.50 per session. All welcome. Contact Karen Mucklin for more info on 07516 461438. SATURDAYS Join walkers, runners and volunteers at the free Whittlesey Parkrun each Saturday starting at 9am at the Manor Fields, Whittlesey. For more info visit www.parkrun.org.uk/ manorfieldwhittlesey, email: manorfieldwhittleseyoffice@ parkrun.com or find us on Facebook. SUNDAYS First Sunday of the month: Jim’s Bingo at the Conservative Club. Doors open at 7pm, eyes down at 7.30pm. ♥♥♥♥♥♥♥♥♥♥♥♥♥♥♥♥♥♥♥♥ ANSWERS 1) Shadows, 2) Lovesick, 3) Supremes, 4) Love Affair, 5) Donny Osmond, 6) Sugar Baby Love, 7) Stylistics, 8) Beautiful Woman, 9) Renee and Renato, 10) Foreigner, 11) Caravan, 12) Whitney Houston, 13) Meat Loaf, 14) Lopez, 15) Black Eyed Peas, 16) Cole, 17) Girls, 18) Aplin, 19) Tinie Tempah, 20) Ellie Goulding. East Anglia’s Children’s Hospices (EACH) has revealed it takes more than 6000 bags of donations a week to run its shops, as the charity launches its Bag It, Bring It, Boost It campaign for 2019. EACH has 35 shops across Cambridgeshire, north Essex, Norfolk and Suffolk that last year generated an impressive profit of more than £1.1 million. Encouraging individuals, families, community groups, schools and businesses to bag up their unwanted items and drop them off at an EACH shop, the donation drive was a huge success when it launched in 2017, with more than 80 companies and colleges getting involved to supply in excess of 1000 bags. Ian Nicolson, EACH head of retail & trading, said: “Our retail portfolio’s rapidly expanding, with nine shops having opened last year, and it’s important we continue receiving donations to keep our shelves well stocked. We’re really desperate for homewares, menswear and toys at the moment. “As we all know, this is a great time for a clear-out. Maybe you’ve some items lying around unused due to new ones received over Christmas or, perhaps, you got some gifts you actually don’t want! “Please bring them along to an EACH shop. The money raised from sales goes towards the care of hundreds of children and young people with life-threatening conditions across the region, and support for their families.” Here are examples of what a donation could pay for: a top, skirt or pair of trousers worth £5 could pay for art supplies for a session of art therapy; a tea set worth £11 could fund an hour of specialist play tailored to a child’s individual needs; a nice wedding hat or jacket worth £19 could pay for an hour of vital physiotherapy; and an item of goodquality furniture or prom dress worth £24 could fund an hour with a psychologist to help guide and support families going through a tough period. For more information about Bag It, Bring It, Boost It visit www.each.org.uk or drop by your nearest EACH shop. Local woman Michayla Reed is having her hair cut for The Little Princess Trust to help make wigs for young girls with cancer. The fund-raising event will be held at the MPSK Centre in Bretton, Peterborough at 12.30pm on Saturday, February 16 when there will also be associated activities including a cake sale and raffle. She said: â&#x20AC;&#x153;I have a just giving page to also raise money to support the cause:Â www.justgiving.com/ fundraising/michayla-reed This is due to there being many other costs involved such as for fittings, posting the wigs out and unfortunately not all hair types can be donated so these types of hair need to be specially bought in costing anything up ÂŁ500! â&#x20AC;&#x153;The Little Princess Trust provides real hair wigs free of charge to children and young people up to the age of 24 that have sadly lost their own hair due to cancer treatment and other illnesses. The Trust relies solely on the efforts of enthusiastic community fund-raisers. We receive no formal funding. Please help to raise money for us so that we can help more families.â&#x20AC;? WHITTLESEY CITIZEN: â&#x20AC;˘ Over 18 years old â&#x20AC;˘ A resident of either Whittlesey, Coates, Eastrea, Turves or Pondersbridge. WHITTLESEY YOUNG CITIZEN: â&#x20AC;˘ Up to and including 18 years old â&#x20AC;˘ A resident of either Whittlesey, Coates, Eastrea, Turves or Pondersbridge. We would welcome nominations for people of all abilities for either or both categories, they may have helped in the community, undertaken charity work, fundraising or achieved outstanding results in any discipline or anything else you feel is above and beyond the call of duty. Should you wish to submit a nomination, please give details of the individual: Name, Address and reason for nomination and send to: Susan Piergianni, Town Clerk & RFO Whittlesey Town Council, Grosvenor House Grosvenor Road, Whittlesey, PE7 1AQ Please mark the envelope: â&#x20AC;&#x2DC;Citizen of the Yearâ&#x20AC;&#x2122; or â&#x20AC;&#x2DC;Young Citizen of the Yearâ&#x20AC;&#x2122;. The closing date for nominations is Thursday 28th February 2019. Quote â&#x20AC;&#x2DC;Discoveringâ&#x20AC;&#x2122; when you call us to enquire or book! with companies like Apple locking down the hardware with warranty void stickers, expensive repairs and the threat of legal action if you do take them apart. This is very discouraging to users who want to get into the hardware side of computing. I do not agree with the current trends in locking down commercial products; this will just lead to a strong tech ecosystem that once consumers buy into, they can’t get out of, i.e. Apple. More about this next month. In the meantime, happy computing from Dan, Deborah, Len and Oliver A WORD OF WARNING It has been usual practice to click on ‘Windows updates’ to ensure your laptop/tower has the latest updates from Microsoft. I now warn you against this practice; the reason is that by clicking on ‘check for updates’ you are automatically signing yourself up to receive all updates including ‘developer updates’ – which have not completed the full testing cycle and, hence, can potentially damage the software on your computer. NATIONAL SERVICE RAF ASSOCIATION The Fenland branch of the National Service RAF Association meets at the Oliver Cromwell Hotel in March on the third Monday of every month at 10am. The branch - which has members from March, Chatteris, Wisbech, Whittlesey, Downham Market, and King’s Lynn – is a small group which belongs to the national association which was formed in 2002. The Fenland group, which includes both men and women and RAF personnel and associate members, enjoys a varied selection of speakers who give talks on a wide range of subjects each month and also holds a number of social events during the year. New members are always welcome to join this friendly group. For more details contact Graham Welsey on (01354) 657686. Whittlesey Street Pride Fred Mills (Chairman): 01733 202874 pongofred1@sky.com Peter Davies (Secretary): PeterDaviesGB@aol.com Whittlesey Ladysmith WI 01733 205927 Whittlesey WI 01733 202166 (Sandra Mina, Secretary) Whittlesey Royal British Legion Branch meetings: Ivy Leaf Club Youth Gracious Street, Whittlesey, PE7 1AP Whittlesey Youth & Community Centre Contact Ray Thrower: 0785 068 0785 15 Scaldgate, Whittlesey, PE7 1SD Hereward Harmony 01733 203624 Orton Wistow Community Hall Napier Place, Orton Wistow, Peterborough Sports www.herewardharmony.co.uk Whittlesey Table Tennis Club March & District Model Railway Club Meets at Whittlesey Indoor Bowls Club. The Rookswood Club, Rookswood, Chairman: Dr Peter Hau. Call 01733 27 West End March, PE15 8DP 808008 or 07554 624525 or email 01733 204997. Mike Wyldbore peter@hauforensics.com (Secretary): secretary@mdmrc.co.uk Fenland Archery Club www.mdmrc.co.uk Sir Harry Smith Community College Whittlesey Angling Association Eastrea Road, Whittlesey, PE7 1XB Andrew Wilding (Secretary): 01733 www.fenland-archery.co.uk 202071 www.whittleseyaa.org.uk Whittlesey Amateur Boxing Club Whittlesey Lions Club Manor Leisure Centre. Contact Meet second Monday of month at Gary Morris: 07512 394975 or email: 7.30pm at The Letter B, Church Street airborneaerials@hotmail.co.uk Whittlesey PE7 1DE. New members Whittlesey Cricket Club welcome. Contact Steve Palmer 18, Sir Harry Smith Community College Glenfields, Whittlesey, PE7 1HX 01733 Eastrea Road, Whittlesey, PE7 1XB 351405 whittlesey.lions@btinternet.com whittleseycricketclub@gmail.com www.whittleseylions.org.uk or find us www.whittlesey.play-cricket.com on Facebook. f you go to Whittlesey Library of a Friday morning you may find that there is little of the traditional 'silence please' atmosphere there. At 10.30am one corner is transformed into the delightful world of very young people from new borns to pre-school. and providing a wide range of props like rattles and shakers for the children to enjoy. Puppets are often used, which the children love, and sometimes 'parachute' games are included where the children work together to have fun, and even a giant 'worm' can make an appearance sometimes. It must be very rewarding for Ginny and Jean to see how the children react and get involved in their stories and songs – they certainly put a lot into it! It is well known that early introduction to other children and situations is beneficial to a child's development and eventual performance at school and beyond. It's also a fine way to introduce them to the library, and hopefully a lifelong 'library' habit. The children, and their parents, certainly enjoy themselves! At 11am the play mat is folded up and the toys put away, so as the children disperse the library is returned to its usual calm for another week. The Wiggle and Giggle sessions are every Friday during term time, and all are welcome, just turn up and enjoy the fun. A small donation is requested. Then you could benefit from a water softener! both you and your child are happy and can be secure in the knowledge that your child will be welcomed and well looked after. Now accepting applications for September 2019 If you are interested in a place or would like more information, why not come along to our next open session on Thursday 4th April at 1.30pm or call us on 01733 202403. Freakshakes? It’s not just your average milksh ake! Also available: • A variety of yummy Sundaes – all made with New Forest ice cream • Delicious hot puddin gs – try one of our three cookie desserts • Build your own waffles and pancakes – a choice of over 20 toppings! • Children’s desserts – why not try our dunkin ’ donuts or brownie skewer s? Highly recommended family-run business Large luxury indoor heated kennels All breeds catered for and dogs are walked daily Small breeds – rabbits, guinea pigs and birds etc. Unfortunately, once an animal has a fearful experience, they never forget that experience. A fearful animal can act aggressively, be destructive, be withdrawn from life, be physically ill and refuse to eat – this is no way for them to spend their lives. We want to help your pets ideally before fear becomes a big problem for them, but also help those who are struggling with fear in their life. We want to help you recognise the early signals your pet will use to show they are feeling uncomfortable about something and explain the appropriate way to handle your pet's fear. If your pet is fearful of noises, objects, other dogs or people, coming to the vets or other situations, please contact us to find out how you can help your pet cope better and in turn reduce future illness from a life of stress and anxiety. We have already helped some of our clients’ pets feel much more relaxed about coming into the surgery to see us. Finally, if your pet has a fear of fireworks now is the time to start working with your dog before November arrives, as it takes time to turn a fearful animal around. This month I would like to take the opportunity to remind you of some things about our work associated with the Parish Church. The following are questions we are often asked. Please note that the answers apply to the Church of England. Dog training classes from your dog’s perspective • Want to understand more about your dog? • Want to build a very special bond with your dog? • Want to get the very best from your dog? • Want to know how to teach your dog different behaviours in a kind and effective way? • Want to socialise your dog in a safe environment? • All types of tree topped, shaped/pruned • All varieties of hedge trimmed • Fence work undertaken • New patios laid or your existing one power-cleaned • All rubbish removed from site! All our burgers are made with 100% prime British beef and chicken. Our burgers are h andmade here every day, using traditional methods, mix ed together w ith a selection of fresh ingredients and seasoning s before they are grilled to order, creating the best tasting burger. Or why not just pop in for dessert and coffee? CALL NOW FOR A FREE NO OBLIGATION QUOTATION! Oxney Road, Peterborough, PE1 5YN Terms and Conditions apply. Official fuel consumption figures in mpg (l/100km) for the New Ford Focus ST-Line 5 door 1.0L petrol Ford EcoBoost 125PS: urban 45.6 (6.2), extra urban 62.8 (4.5), combined 55.4 (5.1). Official CO2 emissions 115g/ km. The mpg figures quoted, sourced from official EU-regulated test results (EU Directive and regulation 692/2008), are DPlease I S contact C O your V local E RT.C.Harrison I N G FE B RUA 2019 purposes and may not reflect your actual driving experience. provided forRY comparability dealership for details. Images are for illustration purposes only. L♥VE YOUR HOME TREAT YOURSELF TO A NEW KITCHEN OR BEDROOM! LOWEST PRICES ON TUMBLE DRYERS!